Nollywood producer, Zeb Ejiro, has announced that he would declare his 2019 political ambition on the 2nd of February, 2018, and it would happen at his home town, Ozoro, in Isoko Local Government Area, Delta State. Recall that HVP, in May, this year exclusively reported that the creator of the popular soap opera, “Ripples” which ran for five years uninterrupted on NTA before it was rested in 1993, was preparing to delve into politics, ahead of 2019 general elections. Zeb is planning to contest for the House of Representatives, Isoko Federal Constituency, in Delta State. The popular producer said he’s going into politics to make a positive change that can impact on the lives of the Isoko people. “Isoko nation contributes heavily to the economic development of the country as oil producing community, yet there is nothing to show for it. My slogan is putting the people first before any other thing,” he said. “For me, the area looks rejected and abandoned. Successive governments in the country have done nothing to improve the lifestyle of the people in terms of the infrastructural development of the area. Also, the political leaders of the area have failed the people. There is neither federal government nor state government presence in Isoko nation till date. There is nothing to show that we have leaders in Isoko. Isoko nation contributes about 10 percent to the national coffer. It is not fair to the Isoko nation. Our leaders have not represented us well. And that’s why I am coming out to serve my people. They need a voice, they need to be heard and they need somebody that will take their cries to the national stage. No other person can do it better than myself,” Zeb added. Zeb, however,did not disclose the political party that he wants to use to actualize his ambition, promising to announce the same on the day of his declaration. “But I can tell you categorically that it will not PDP. The party has failed this nation. APC has also failed this nation. I tell people that I am not a politician, rather I am a leader. A politician lies and he’s not sincere. I am a leader, I have come to lead my people to their promise land. I have transverse the length and breadth of the Isoko nation and poverty is all over the place. Somebody needs to change that orientation. Isoko people are looking a true change that they can see and feel it. That’s what I represent,” declared Zeb. The seat is presently occupied by Hon. 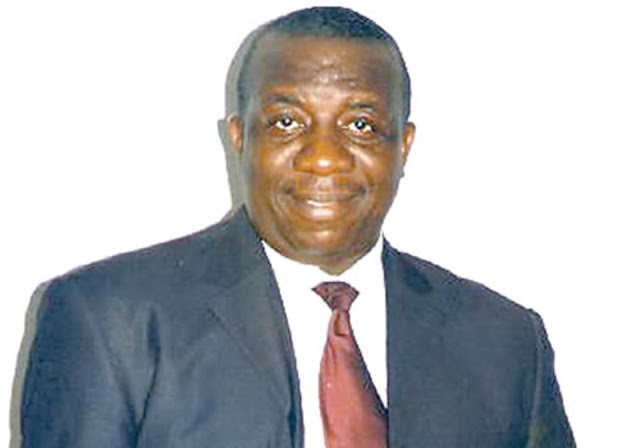 Leo Ogor who, according to Zeb, is considering of the possibility of vying for the seat for the fifth time in a row.